A tale of mystery and intrigue, embraced within a story that has excitement, passion and betrayal at its heart. Despite its obvious literary heritage, this is also a modern story of love and relationships, told in a way that will make you question and explore the very nature of your relationships with friends, family and your search for ‘The One’. Clair Holland is the nom de plume of Fiona Beddoes-Jones, a psychologist whose specialist areas of interest include personal, family and professional relationships, team and group dynamics, the authenticity of being true to oneself, spiritual growth and authentic leadership. She currently lives in rural England where she owns and runs The Cognitive Fitness Consultancy. 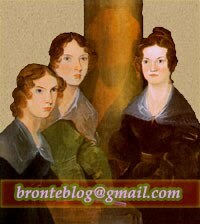 Like many of you reading this, I adore Charlotte Brontë’s original novel, Jane Eyre. And, like many of you, I often imagined myself in the novel itself. But my character isn’t like that of Jane Eyre; I am not quiet, reserved, introverted or demure! On the contrary, I think that I would have been much more like Mr Rochester’s first wife; extroverted, outwardly passionate and ‘difficult to manage’. As a psychologist, I have a particular interest in the dynamics of relationships, and as I recognized parts of myself in the descriptions of Bertha Antoinetta Mason and related my personality to hers, two questions haunted me as I imagined myself in her shoes: What if she wasn’t mad? And what if she didn’t die? 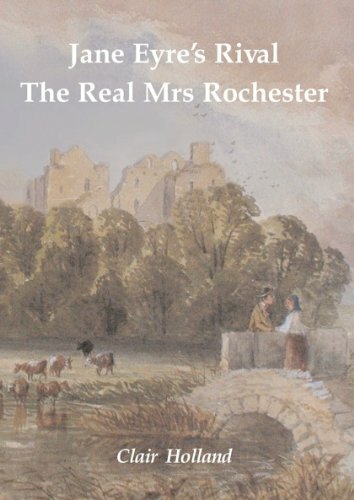 Writing Jane Eyre’s Rival: The Real Mrs Rochester, allowed me to explore those two fundamental questions from the perspective of twenty-first century psychology, and allowed me to untangle all of those unanswered questions that I have been carrying around in my head for more years than I can remember. Still, written by a psychologist, could be interesting. :) I'll be reading it regardless! That's great Traxy, thank you. I really hope that you enjoy both the story and the psychological insights that I've drawn from it. I don't know what you mean by a 'Bertha apologist' though. Perhaps after you've read the book you could explain what you mean and whether you still think that I am one! It will be officially launched to coincide with the wonderful new film version which will be in cinemas on 9th September 2011. All of the feedback I've received so far has been overwhelmingly positive, so I do hope that you enjoy it. let me know!